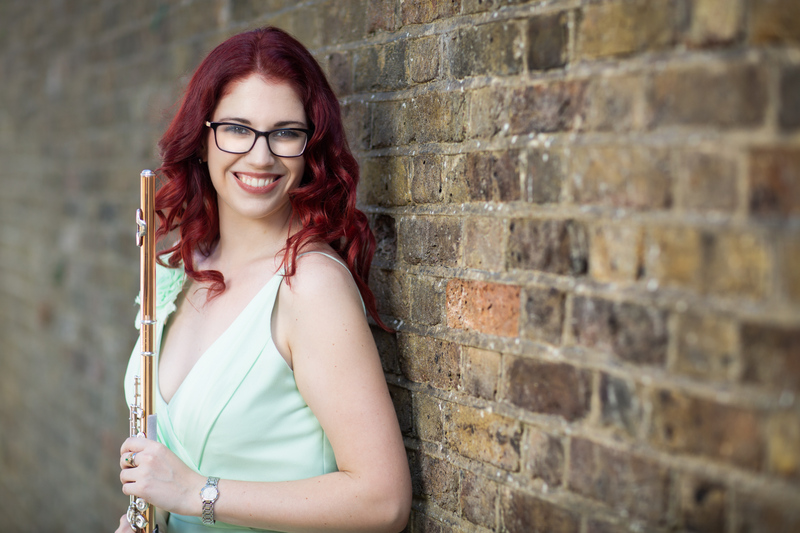 Lindsay Bryden is a freelance flutist based in London, UK. Comfortable in a wide range of genres and settings, Lindsay has a great depth of repertoire as a soloist, chamber and orchestral player. She is active in collaborating in the performance and recording of new music projects. She is particularly passionate about bringing forward to audiences music which is seldom heard or which has fallen into obscurity. Lindsay has travelled throughout North America and Europe as a soloist, performing in such outstanding venues as the National Arts Centre in Ottawa, Salle Bourgie in Montreal, St Martin in the Fields and the Royal Albert Hall’s Elgar Room. She has participated in numerous festivals including Music and Beyond in Ottawa, Vianden in Luxembourg, and Spitalfields in London where her performance art presentation of Oliver Knussen’s Masks was highly praised. Lindsay earned her MA with distinction in flute performance under William Bennett at the Royal Academy of Music in 2015, where she was winner of the Jonathan Myall Piccolo Prize. She is also a graduate of the Royal College of Music where her principal teacher was Simon Channing and where she was a RCM Scholar and Rising Star. Lindsay is a recipient of the Canada Council Emerging Artist Grant and the Sylva Gelber Music Award. In 2016, her recital as a National Arts Centre Rising Star was nationally broadcast by the Canadian Broadcasting Corporation and she was named a CBC Young Artist of the Year. She was a finalist for the 2018 Women’s Musical Club of Toronto Career Development Award. Lindsay will be in residence at Trevor Wye’s Flute Studio for 2018-2019. She is thankful for the support of Canada Council for the Arts, which has made this project possible.